"Discover How 4 "Real Estate Newbies" with ZERO Experience Quietly Raked in up to $72,862 in Only 120 Days Using NO Cash & NO Credit Only Working 2 Hours Per Day..."
Sean Terry went from working a boring JOB he hated just making ends meet to discovering a simple real estate investing "concept" that has allow him to buy and sell over $120,000,000 in real estate. He currently owns and operates a successful real estate investment firm in Phoenix AZ producing roughly $10,000,000 in annual sales. A short time ago he decided to share this information with the world by releasing a podcast in iTunes which became wildly successful and now receives over 100,000 downloads a month from listeners in 65 different countries. 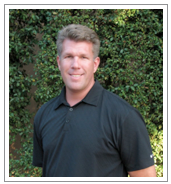 Sean resides in Phoenix AZ and Dana Point CA with his wife of 17 years and two daughters.